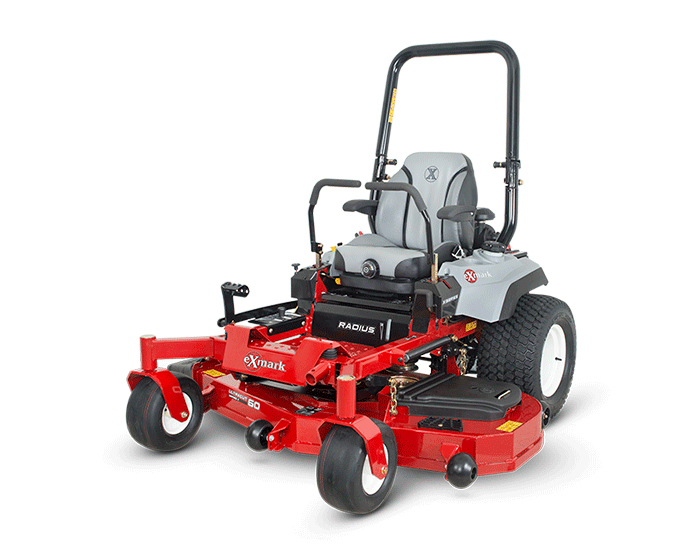 Exmark Radius X Series Zero Turn Rider RAX730GKA604A3 is engineered with a Kawasaki FX engine and 60’’ UltraCut Series 4 deck for improved performance and durability. Designed with a Hydro-Gear integrated transmission and a full-suspension operator seat with operator preference dial and elastometric vibration control, this model delivers a quality cut as well as driver comfort. Transmission Type : Dual Hydro Gear ZT3400, hydrostatic transmission with charge pumps, relief valves and independent, replaceable filters.